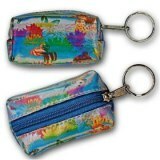 Butterfly Accessories - Bags, Purses, Totes and Belts, as well as butterfly themed accessories for your hair and body. 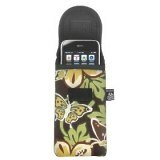 Butterfly Accessories - Hair Accessories, Temporary Tattoos, Bags, Purses, Totes and Belts. 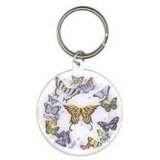 Metal Keychain measures approximately 2" x 2.25" and is attached to a chrome keyring. 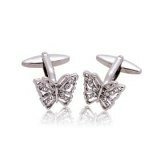 Italian-inspired cufflinks with unique butterfly design set with pave crystals in silver. 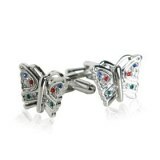 Each cufflink features 10 Swarovski crystals of different colors. Nice a lightweight, so you can wear them with the lightest silk blouse. Cufflinks arrive in chrome gift boxes suitable for gifting. 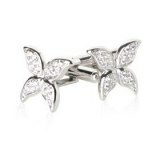 Premium cufflinks will add a refined, stylish touch to almost any professional or formal outfit.